A special thanks to the "IoDeposito" organization and in particular to Chiara Isadora Artico, Tancredi Artico and Joshua Cesa. They kindly accepted the invititation to reply to the below interview about their special project dedicated to Mario Puccini, an Italian writer whose legacy is particularly connected with the First World War in the Eastern front between the regions of Friuli and Veneto and Slovenia. 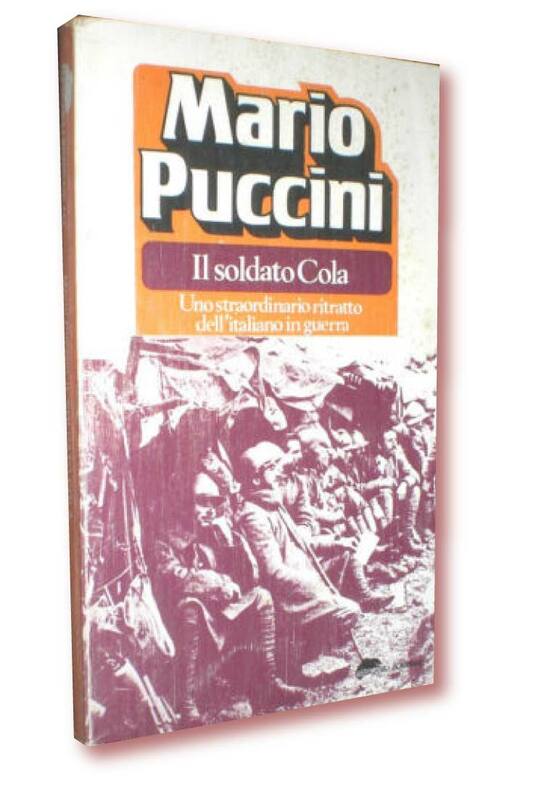 Would you briefly explain who is Mario Puccini to the International audience of World War I Bridges and could you state why he is a crucial point in the understanding and study of World War I in Italy? 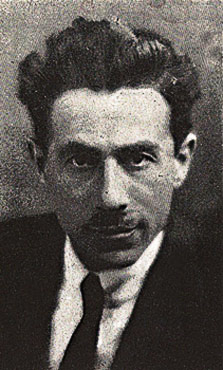 TANCREDI ARTICO: Mario Puccini was a prolific and versatile Italian writer: born in 1887, he voluntarily took part of the WWI and eventually became an officer, between 1915 and 1918. He wrote thousands of pages: not only novels and collections of short novels, the genres for which he’s best known, but also poems, essays, translations, articles. In a large quantity of his works he depicts the war experience, and he is able to do that in a poignant way, that touches the soul of the reader. His pen is emotional and precise, shows us not only the most terrible aspects of the conflict, such as death and human degradation, but also highlights what conflict - not only war - means to people, and how it destroys the simplicity of humanity. Puccini describing the WWI speaks to the present: he teaches to respect diversity and each form of life. Q: Let's go now specifically inside your recent project namely the edition of the works by Mario Puccini. Could you describe it? How did you cooperate for the new edition of the books that Mario Puccini dedicated to his experience on the Kars and after Caporetto? TANCREDI ARTICO: The aim of the project is to print Davanti a Trieste, the third (and least) Puccini’s war book, in the hope that this could be the first step of a Puccini’s “renaissance”. 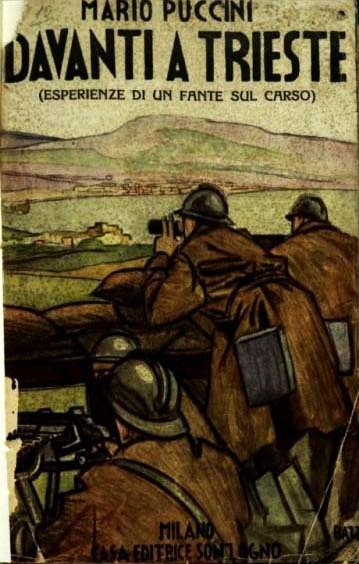 With that book I want to give to the reader the full text of this war diary (which is very difficult to find in libraries and is not available online), but at the same time I expect to give a general idea of Puccini’s three war books and a complete discussion of bibliography. This is not an useless operation, if we consider that the last research on Puccini’s literary production was done in the early 80’s, and that it doesn’t give an overview of his war books. Q: This project is not only on paper. There's a multimedia side of it. Is it bilingual or are you planning to make it available as a multimedia bilingual project soon? JOSHUA CESA: Technically speaking, the integration of a multi-language system is quite simple: the heart of the multimedia system created is a database which, because of its nature, lends to the cloning of the individual fields, automatically predisposing the translation. Nevertheless, there is an issue intrinsically tied to the specific contents we want to propose in the project: Davanti a Trieste is a very complex work of literature, the interest of the project lies specifically in the nuances of the Italian language used by Mario Puccini: pulling up alongside a didactic apparatus in a different language besides the Italian one, could be a dangerous operation, if seen from the point of view of the Italian studies. We are reflecting on the possibility of a multi-language hypertext, but the first step would be to prepare an accurate translation of the Puccini's text, which captures all the specificities of the author's writing style (and than, it would be possible to create also a critical apparatus in other languages). Q: How are you going to promote your project? Are you planning presentations also outside Italy? TANCREDI ARTICO & JOSHUA CESA: We have already started the promotion of the project: we have just organized a tour presentations in Italy (in libraries, universities and museums mainly in the region of Veneto and Friuli Venezia Giulia) and in Slovenia, interesting areas for our projects, rich of materials and experiences connected the theme of the world's conflicts. We plan to continue the presentations again next year in Italy and abroad. The project has always had an international vocation: it was presented in London, and we are planning presentations and book trailers projections in Canada, United States, Australia, Belgium (leveraging on our network of international research partners). This project is strongly connected with the area of the Italian studies, and as you know is not yet multilingual, but the methodologies we are using, and the author's literary production itself, it is raising a lot of interest in the international research community and towards the audience from different countries. Q: What are your personal points of view on the several initiatives popping up for this Centenary? TANCREDI ARTICO & JOSHUA CESA: We see around us that people are critical towards the idea of the Centenary: it is happening a moltiplication of the activities on the theme, and sometimes these activities seem a little bit forced. But we also see that the Centenary is bringing a new sensibility, which is more and more necessary today. We believe that this centenary represents a real opportunity to give voice to the collective memory and to the investigation of the human experience during the First World War, exploring other perspectives on the conflict, looking at the individual and collective point of view, searching for the 'B sides' of the story, not considering anymore only the nationalist visions. The centenary is a possibility to help us in facing the contemporary legacies of the conflict (invisible but still very present in our daily life) of which the today's generations are heirs.